Scanned primary telescopes on the master model. Now the secondary structure is "designed". The friction can be controlled individually by changing the radial value. Inserted primary telescopes in the patient's mouth after nearly six months of wearing time. The extremely homogeneous surface promotes healing, which is noticeable at the gingival margin. Final restoration: The telescope restoration was veneered and completed with the Signum composite and Signum matrix from Kulzer. I have been the laboratory manager of Dentaltechnik Dr. Lerner GmbH since 2010. We are a smallish laboratory with four employees. For 15 years I have specialized in the field of telescopic technology with a host of different materials and am therefore a fully fledged telescopic technician. In 2013, a decision for a CAD/CAM system had to be taken; and the reason why I finally decided in favor of the complete in-house system from Amann Girrbach was mainly due to the Ceramill Sintron sintering metal. To begin with, I started with single crowns and smaller bridges. The fit convinced me, which is why I quickly became more courageous and started to test and work far beyond the indications applicable at that time. Due to the continuous further development of the Ceramill Argotherm sintering furnace, the software and the integration of a new workflow using the Float Sintering Disc, the indication range was expanded significantly and even wide-span bridges were able to be realized. Owing to the intensive cooperation with the research and development department of Amann Girrbach as well as my many years of experience with the fabrication of telescopic work, we have created a workflow that enables us to fabricate complete telescopic work with a time saving of up to 50% (see images above). In addition, we benefit from a high level of system security, a perfect fit and easy-to-process surfaces. 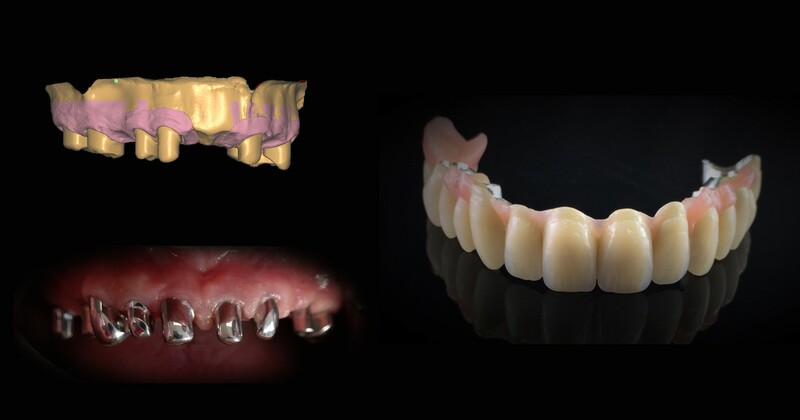 Whereas the patient benefits particularly from the high level of biocompatibility, the absence of tension and plaque resistance provided by this material in its polished state. And of course, all these advantages inspire our treating dentists. In my opinion, Ceramill Sintron will determine the market for non-precious alloys in the future, particularly in the area of telescopic technology. I enjoy the advantages of processing Sintron daily and it brings new ideas into our laboratory. One can rely on this system, and especially on Ceramill Sintron. I am already looking forward to the next developments.